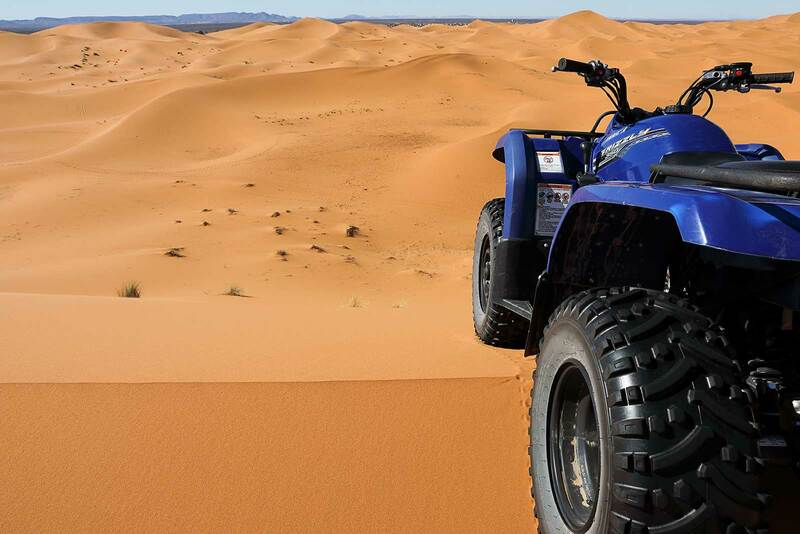 A Dream Come True: Quad Biking In The Moroccan Desert. | Travel Photography Blog by Nisa Maier and Ulli Maier. All my life have I listend to the amazing adventure stories of my parent’s month-long road trips through northern and central Africa. 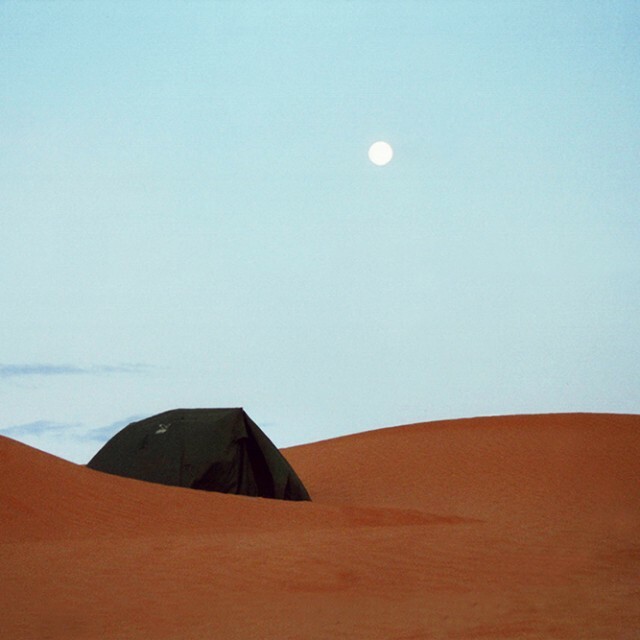 Those stories that struck me the most where the ones about their trips through the Sahara desert. 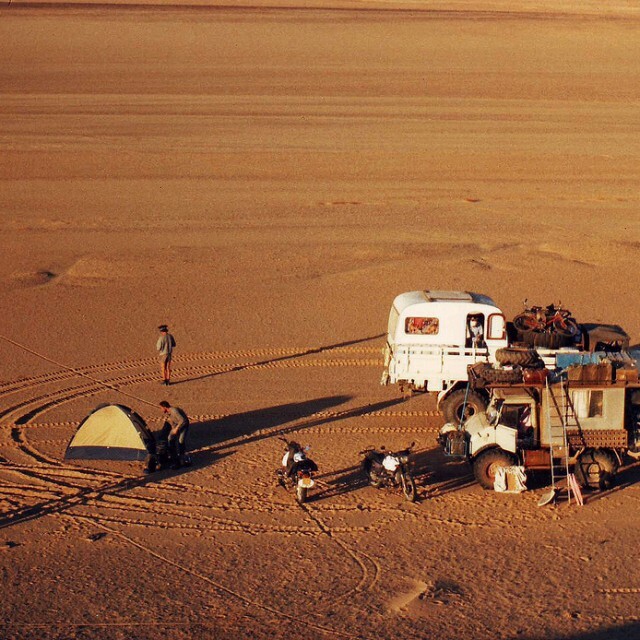 They crossed the desert several times by themselves with an Unimog and a KTM motocross bike. For hundreds of kilometres there was nothing in site but sand dunes. Being hit by skyscraper high sand storms or 50 degrees Celsius was nothing out of the ordinary. I could listen for hours and imagined what it must feel like doing the same (although I was with them on their last great adventure, but I was just a toddler). Then when I turned 15, we took out Pinzgauer truck and drove down to Tunisia to experience just a little of what it was like back then. But I couldn’t drive yet (especially not with this kind of vehicle), so I knew, that someday I’d re-visit the African sand dunes and conquer them myself. The Legend Of The Erg Chebbi Sand Dunes. Morocco might not the the first destination that comes to mind when thinking about skyscraper high sand dunes, but think again! 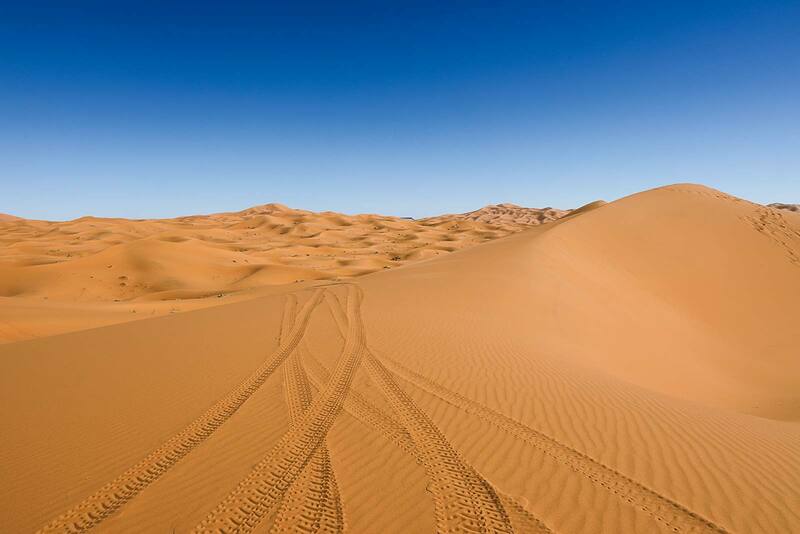 With Zagora and Merzouga you’ll find two great gateways for a true Sahara desert experience. Our road trip would lead us to Merzouga, a small village only approximately 20km from the Algerian border and on the edge of Erg Chebbi. 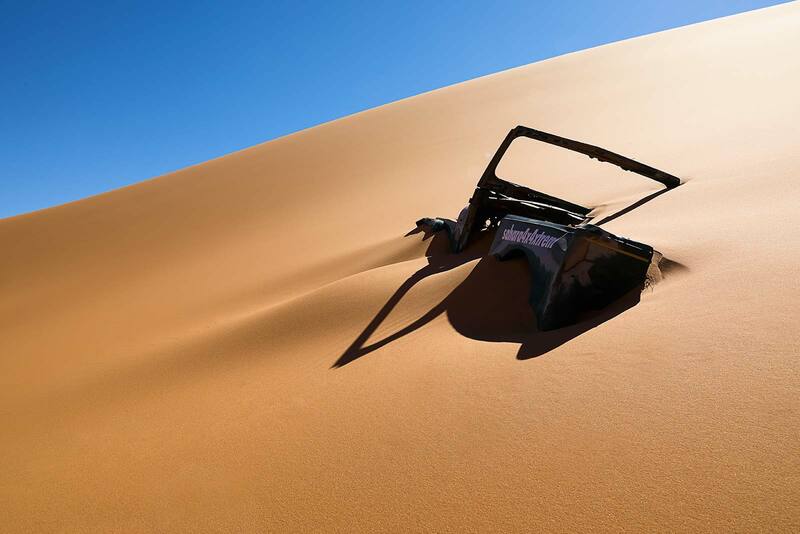 A Moroccan legend says that the Erg Chebbi sand dunes were sent by God as a punishment because a wealthy family refused to accommodate a poor woman with her son. 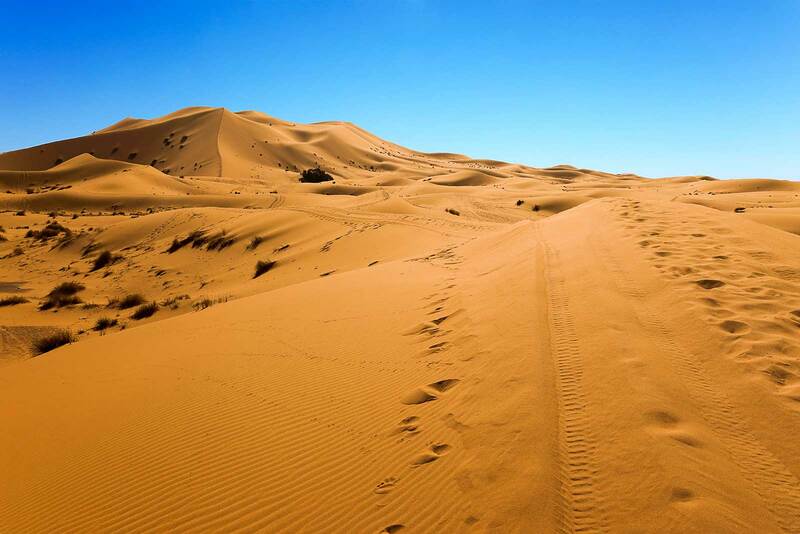 Moroccans believe that the dunes piled up outside Merzouga and buried them underneath to teach them a lesson so that they would never refuse to help a tired traveller ever again. The sand dunes here fulfill Morocco’s promise as a dream desert destination. But unlike in the old days when my parents travelled through Africa, Merzouga is now easily accessible due to the paved road. This has it’s prince: during high season convoys of 4WD’s race across the area and you won’t be able to get photos without people in them (like the ones below). 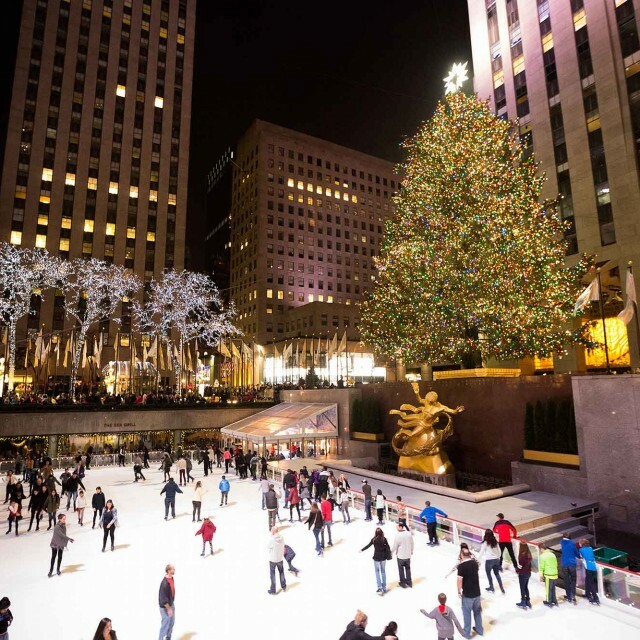 In winter, temperatures are only slightly above 10 degrees during the day, which keeps many tourists away. For us, it was perfect, because we had the dunes to ourselves. Driving into Merzouga, we immediately recognised the only open Quad shop: Sahara ATV Quad Adventure. Off We Go: Sand Dunes, Here We Come! We booked a two-hour ride and only a couple of minutes later, we were on our way. Mohammed was our guide and I’m sure that at first he though something like “here we go again with two chicks who probably don’t know how to drive…”. Well, he realised pretty quickly, that we were not your ordinary girls. Faster, higher is what we wanted. Mohammed took us to the very top of the sand dunes and we had the most spectacular view of the area! With only the sound of the wind, not a single person in site and the taste of sand in your mouth made the experience absolutely unforgettable! 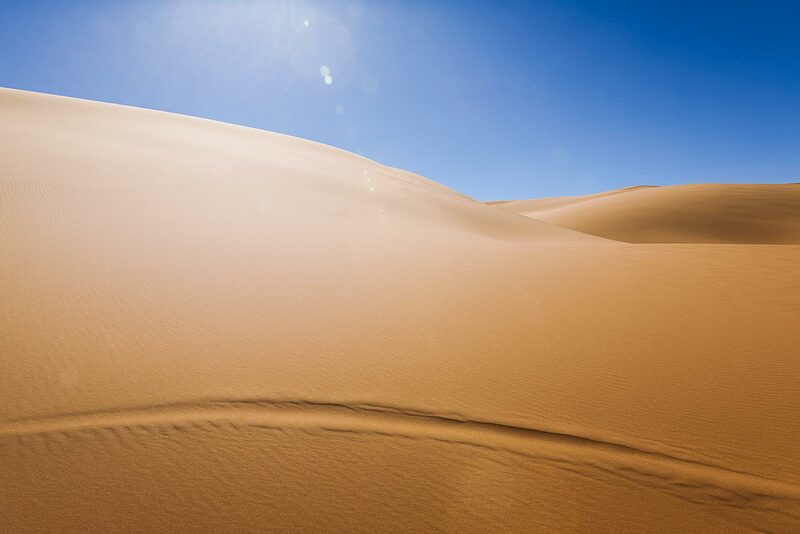 The dunes of Erg Chebbi reach a height of up to 150 meters in places and altogether it spans an area of 50 kilometers from north to south and up to 5–10 kilometers from east to west. 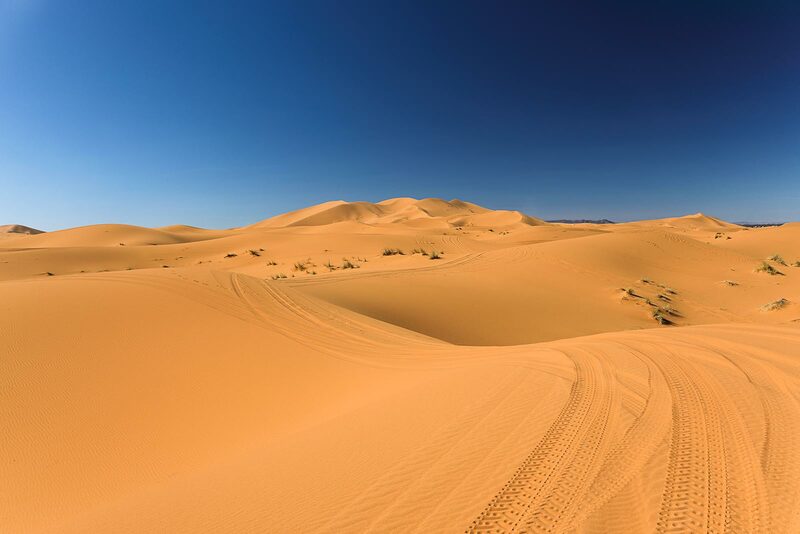 The highest dunes are those near, or just south of, Merzouga itself, peaking with the aptly named Grand Dune de Merzouga, a golden mountain recognisable. 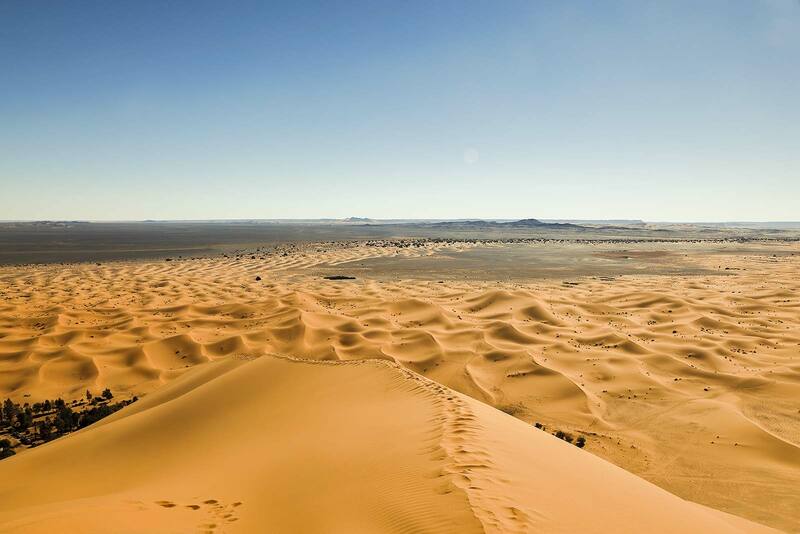 Erg Chebbi is one of Morocco’s two Saharan ergs near the small village of Merzouga. 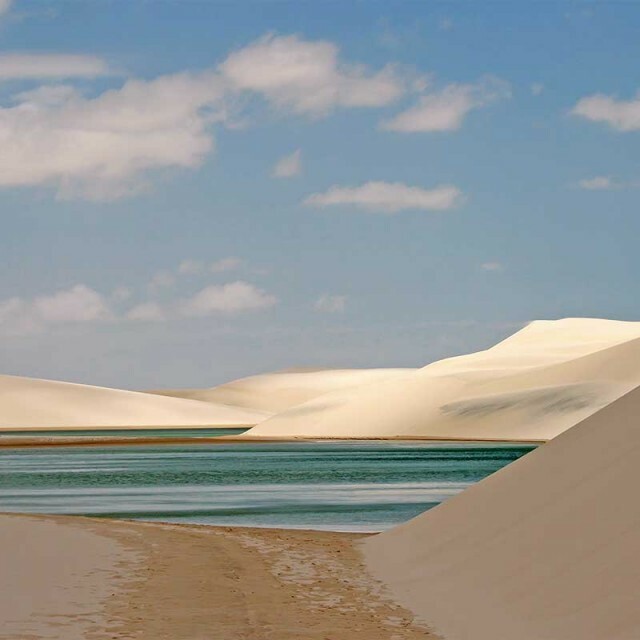 And erg is a large sea of dunes formed by wind-blown sand. The other is Erg Chigaga near M’hamid (south of Zagora). On top of the highest sand dune of the Erg Chebbi. What a view?! 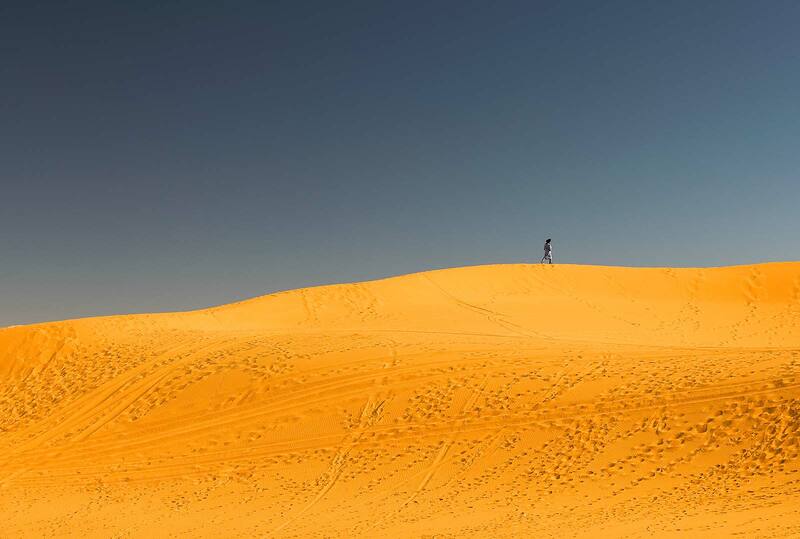 A berber walks along the sand dunes of Erg Chebbi. The view from up the top of the Erg Chebbi sand dunes was absolutely sunning. On one side, you see the Algerian border, on the other side the village of Merzouga and Hassilabied. The Erg Chebbi sand dunes are spectacular at any time of day, but late afternoon was really the best time to view them.